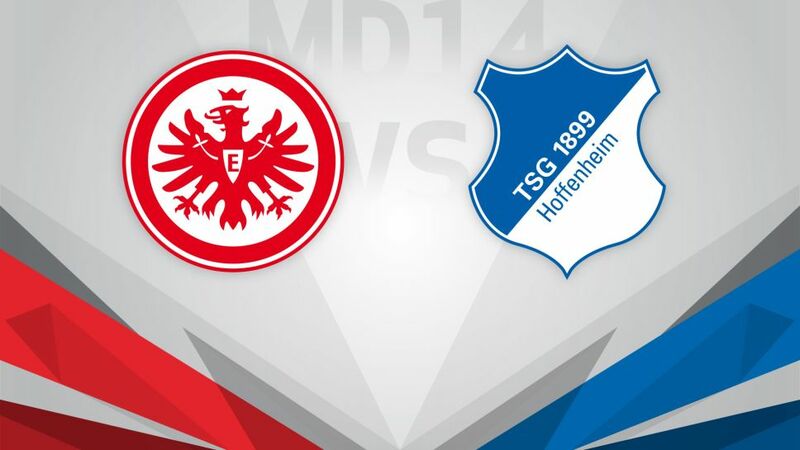 Eintracht Frankfurt will attempt to knock TSG 1899 Hoffenheim off their unbeaten perch when the two surprise top-four contenders kick off Matchday 14 on Friday (kick-off 20:30CET/19:30GMT). Eintracht are on an impressive run themselves, and currently sit fifth in the table on the back of a seven-match unbeaten run. They were held to a 1-1 draw at FC Augsburg on Matchday 13, but have won their last two in a row at the Commerzbank-Arena, with last season's threat of relegation a distant memory. Hoffenheim cantered past 1. FC Köln with a fine 4-0 win on Matchday 13 to maintain their unbeaten start to the season. The Sinsheim club have a decent record in Frankfurt, with four wins from seven visits, and three points on Friday would keep Julian Nagelsmann's fourth-placed charges firmly in contention towards the top of the table.